As promised, here’s our second t-shirt upgrade idea! This is another tee we’ve seen around, and selling for $25 or more, it was begging for a DIY. It’s almost laughable at how easy it really is! 1. 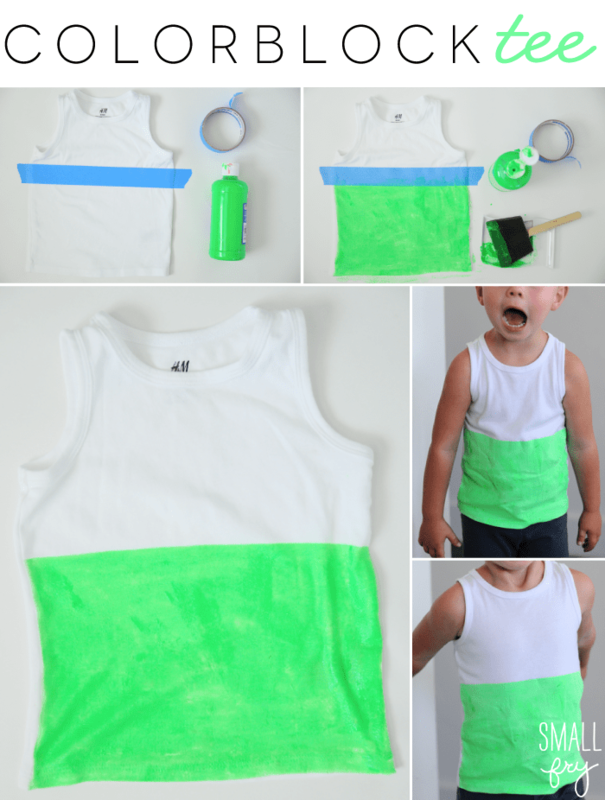 Take the t-shirt in question and stick a piece of cardstock or newspaper inside the shirt, this will keep any paint from bleeding through to the other side. 2. Using painter’s tape, mark off the desired color blocked area. We simply did a half color block and taping a little extra off the sides and onto a stable surface will keep your shirt from sliding while you’re painting. 3. Using the acrylic or fabric paint of your choice, and a paintbrush (we used a wide foam brush since we had a lot of area to cover) paint the color block and let it dry completely. We love acrylic paint because it is so inexpensive and washes and wears just like fabric paint. It will make your tee slightly stiff but after a few wears it will soften! The options are endless with this DIY, we’ve seen the colorblock at the chest level, covering partial sleeves, partial pockets, stripes, and more! We can’t wait to see what you come up with and we’ll be sure to show you ours, too! 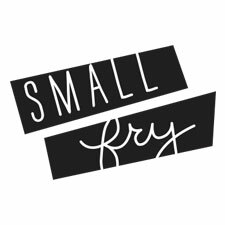 This is super, Small Fry. Inexpensive color blocking is perfect and I’m excited to share it. I always get cracks if I try to paint with acrylic. Then I found something called “textile medium” at the craft store. You mix a little in with any acrylic paint and it becomes fabric paint. Works great for me. Genius!! We didn’t do too many coats so it hadn’t cracked yet, but that’s an awesome tip! Is the painted part crusty? My painted shirts always turn out weird and home-made looking. Am I missing something? We’ll get you the brand name of the paint we used, because ours was hardly stiff! Do you wash and dry like normal?